Two dozen schools in the British Isles received donated books, but these weren’t the kind that schools usually get. The idea was that children might engage more with the Bible if they had a familiar vehicle – in this case, religious stories in a game-themed book — helping them do it, according to the Bailiwick Express. 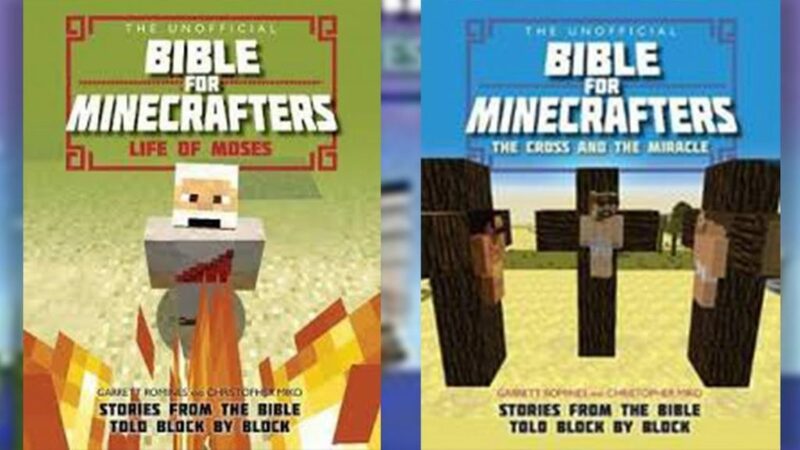 In the British Isles, the schools received “The Unofficial Bible for Minecrafters – Stories from the Bible told block by block,” which gives children ages 7 through 11 3-D versions of Bible stories such as the Garden of Eden and Noah’s Ark. The Rev. Beverley Sproats of St John’s Parish Church said the game-themed religious books made the Bible more “accessible.” Her church donated 30 such books to St. John’s School. Francesca Allen, who heads Humanities Faculty at Le Rocquier School, said her school “gratefully received” the donation. The schools in Europe have a lot of company when it comes to using Minecraft to connect children to the Bible. Professor Rachel Wagner of Ithaca College sees parallels between video games and religion. Both, she noted to USA Today, have rituals, rules and structure. On a broader scale, educators are finding Minecraft an effective way to teach other subjects. “We first heard from kids themselves about Minecraft, and we started watching a lot of YouTube videos to see what the buzz was about,” said Debra Dorfman, Scholastic's vice president and publisher for licensing, to The Associated Press a few years ago. “Minecraft” is set in a procedurally generated blocky world whose trees, terrain and bodies of water can be mined for resources to build things like shelters, tools and armor to protect players from the zombies, skeletons and creepers who come out at night. The calculatedly simple mix of survival gameplay and Lego-like digital construction has captured the imagination of players who've recreated landmarks like Walt Disney World, the White House and Westeros from “Game of Thrones” across the game's sprawling virtual landscape.